Videos add great value to learning and are used to reduce the load of reading on the learner and help them retain information. You can enrich your videos by adding captions, images, transitions, music, visuals, callouts, banners, and animated backgrounds and in most cases, “live” training videos need to be edited to enhance their quality. To do all these, you may require some software tools. 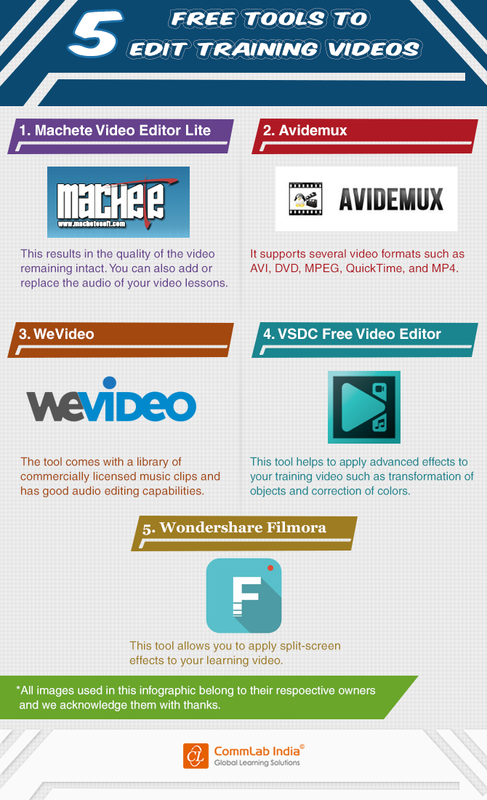 Many free video editing tools are available in the market. Check 5 of them in this infographic.